Women make up half of the country’s population, yet only about one-third of state legislative positions are filled by women. Why aren’t there more women elected public officials? We take a look at Massachusetts’ own shortage of female politicians in Running in Heels. 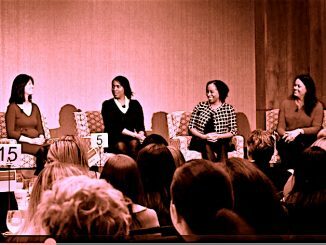 Luckily, there are a number of organizations in the U.S. dedicated to getting more women to run for public office, like Emerge Massachusetts. Click on The New Girls’ Club for more on what their work entails. Rep. Patricia Haddad is arguably one of the most prominent politicians in New England. In Holding the Door Open, the highest-ranking woman in the State House of Representatives shares about what it’s like being a powerful woman in a male-dominated field. But talking about women in politics needs to include individuals from all backgrounds, including race and socio-economic status. 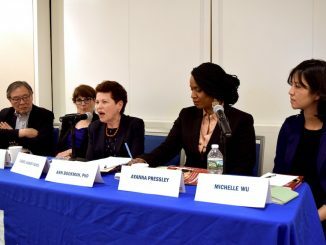 We explore the important issue of diversity among women candidates with the help of expert researchers in Double Binding, which cites data from the latest publication that examines the intersection between gender, race and politics. Women make up half of the country’s population, yet only about one-third of state legislative positions are filled by women. Why aren’t there more women elected public officials? 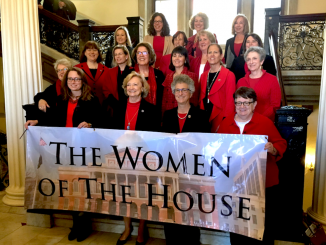 Take a look at Massachusetts’ own shortage of female politicians, and how some organizations are fighting to change this. 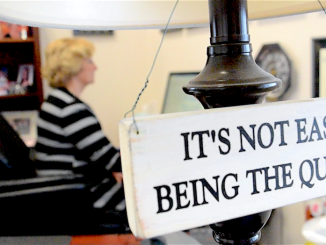 Female-focused training programs, like Emerge Massachusetts, provide a political network for women. Now, after the 2016 elections, more women are gunning for public office. Patricia Haddad is arguably one of the most influential women in Massachusetts politics. In this exclusive interview, she talks about how she switched career paths from teaching to the State House, her childhood growing up in Somerset and why it’s so important to encourage more women to lead. Do candidates who are women of color fare worst because of gender and racial discrimination? Judith Garcia, the youngest elected city council member in Chelsea and the daughter of a Honduran immigrant, talks about her victory among the challenges she faced in the election. Author and researcher Carol Hardy-Fanta shares new data on elected women of color from her recent book. 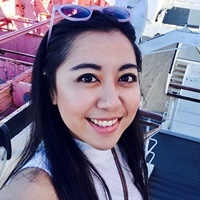 Natasha Ishak is a second-year graduate student studying journalism at Emerson College. Originally from the Southeast Asian archipelago of Indonesia, she received her bachelor's degree in Advertising from Tarumanagara University, and worked as a journalist at The Jakarta Post for several years. As an immigrant and woman of color, her passion lies in bringing forward stories that touch on issues of minorities and diversity. When she is not busy going on a food hunt or tweeting, she is on the streets talking to the people of Massachusetts about their immigrant stories for her passion project with a local advocacy group.